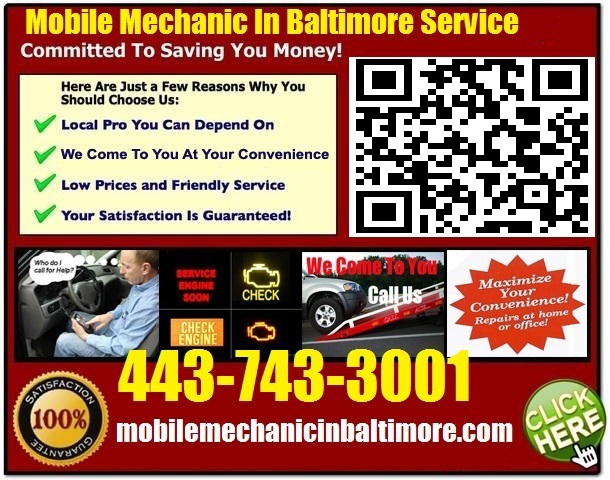 Mobile Mechanic Annapolis MD Auto Repair Service that comes to you to fix car at home or Pre purchase foreign vehicle inspection review Call 443-743-3001. A reliable and experienced mechanic is worth its weight in gold. When you finally do locate one it is important that they can offer a full spectrum of services. It is not uncommon to not realize you need a mechanic until after your car has broken down. Getting your car towed can be expensive and even damaging to your vehicle. It is not unheard of for a small problem to totally disable a vehicle. A mobile mechanic can come to your location for small fixes and repairs. The mobile units are fully equipped to handle a vast array of repairs. Buying a used car is risky proposition. Mitigate a lot of this risk with a pre-purchase car inspection. It will help you protect your financial investment and gain assurance that you are buying a safe vehicle. It is important to utilize a mechanic experienced in what to look out for when inspecting used vehicles. There are certain signs of wear that an experienced mechanic can easily spot. It is the best way to protect yourself beyond the word, and possible warranty of the seller. It is not uncommon for a mechanic to restrict work to domestic models only. Many mechanics will not even diagnose a foreign vehicle. It is crucial to hire a mechanic that is capable of repairing both domestic and foreign vehicles. Many garages do not want to carry equipment, parts, and tools for both types of models. The operating systems also vary greatly, causing you to need a mechanic experienced in repairing both types of vehicles. This is a tall list of capabilities for any mechanic. Finding one mechanic that can carry out all of these types of services is rare. 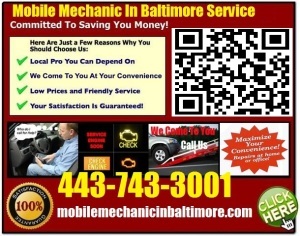 It is possible to find that mechanic in Annapolis, Maryland.